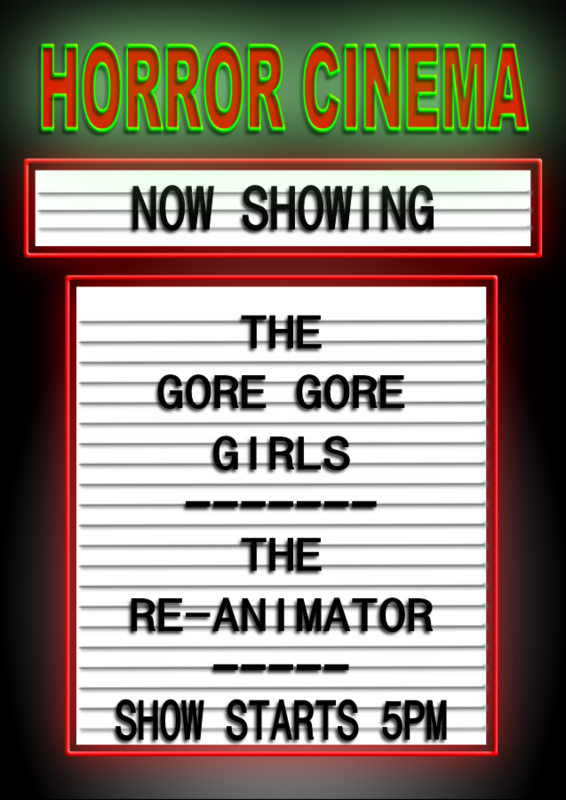 Frankenstein Meets The Gore Gore Girls! Do you love horror films? Do you enjoy spooky ghost stories? Are you a cult movie fan? 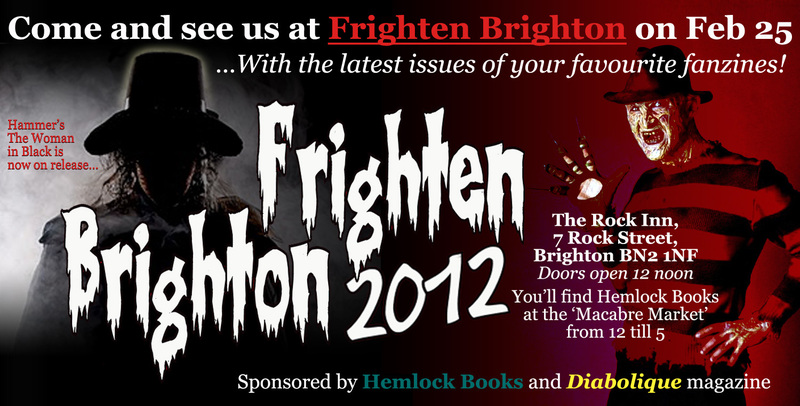 Then you will LOVE the FRIGHTEN BRIGHTON event this Saturday from 12 noon at The Rock Inn, Brighton, East Sussex!! FREE ENTRY to the Macabre Market! 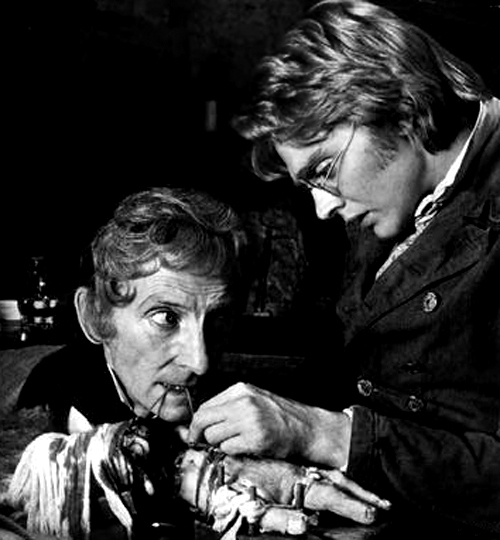 FREE ENTRY to a special screening of FRANKENSTEIN & THE MONSTER FROM HELL (1974)! CHILL! To our spooky ghost story reading in THE HAUNTED BASEMENT! SCREAM! At our exploitation HORROR DOUBLE BILL! DROOL! When you taste the Rock Inn’s delicious food! FAINT! At the fangtastic books, magazines and gothic horror merchandise stalls! BOUNCE! Up and down with excitement when you see the awesome free horror giveaways! HURRY! To book your tickets at WeGotTickets! SHOUT! From the rooftops that YOU are attending the South Coast’s premiere horror event! TWEET! About us using the #hashtag #FRIGHTENBRIGHTON leading up to the event! READ! Diabolique Magazine available from Hemlock Books and discounted at Frighten Brighton for one day only! GET REANIMATED AT FRIGHTEN BRIGHTON! 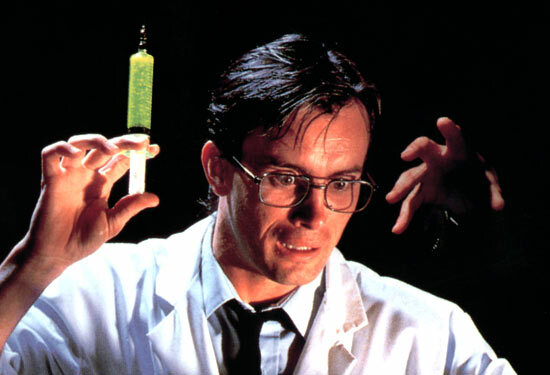 Classic eighties horror movie The Reanimator (1985) hits the big screen as part of Frighten Brighton’s Horror Double Bill on Saturday 25th February alongside the H.G.Lewis trash gorefest The Gore Gore Girls (1972)! Tickets available from WeGotTickets! A medical student and his girlfriend become involved in a bizarre experiment into reanimating the dead conducted by the student’s incorrigible housemate in this campy sendup of an H.P. Lovecraft story. The emphasis is on humour but once the dead walk, there is gore aplenty! 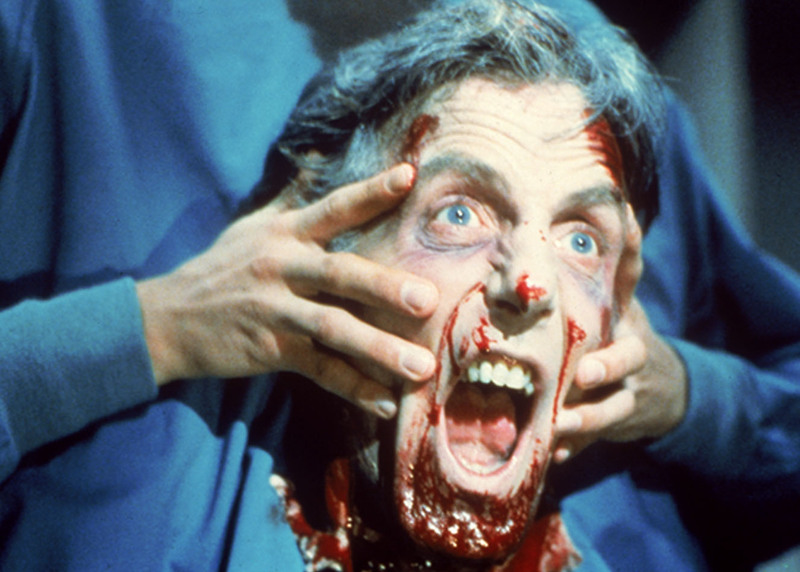 The Reanimator is a real crowd pleaser and is the perfect way to round off your evening after browsing the Macabre Market, haunting the Haunted Basement and watching the free screening of Hammer Films’ classic Frankenstein and the Monster From Hell! So come to The Rock Inn, Brighton from 12 noon on Saturday 25th February. Be there….and be scared!